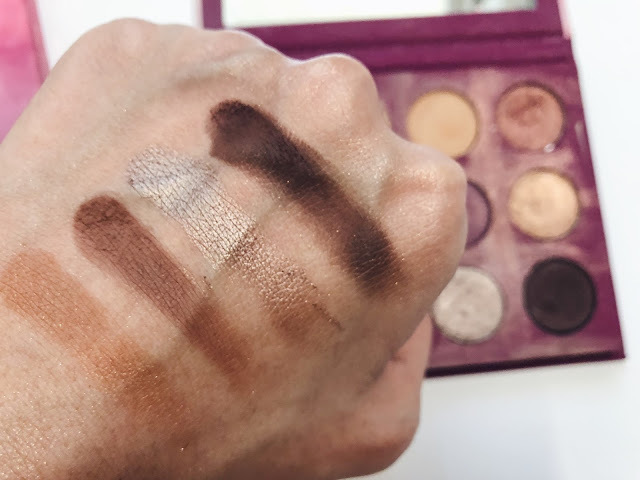 Another eyeshadow palette review. 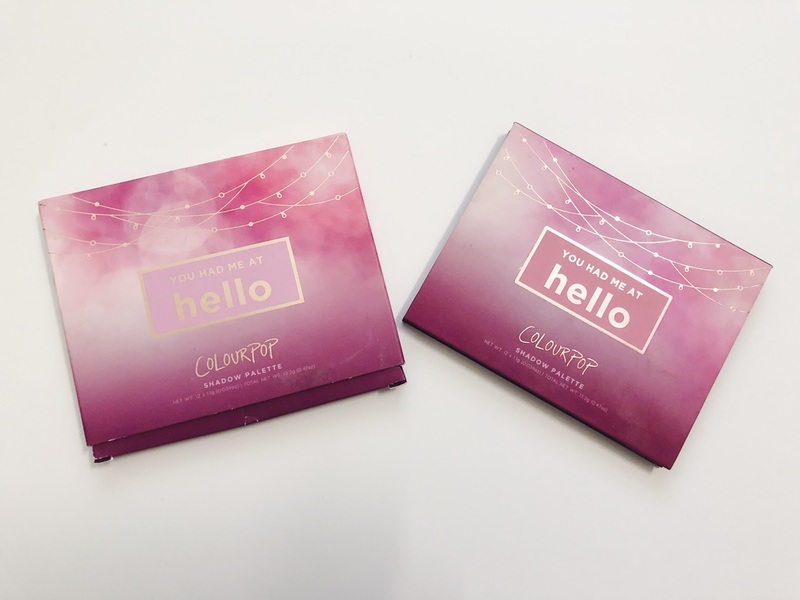 Colourpop You Had Me At Hello! I don't really need a lot of eyeshadow palettes sebab jarang pakai tapi suka tengok. This palette, I decided to buy sebab shades dia cantik but I know I tak selalu pakai, so I share dengan my sister (tapi last last dia je guna). But I really enjoyed using this palette! I'd like to describe this palette as a berry-brown tone. 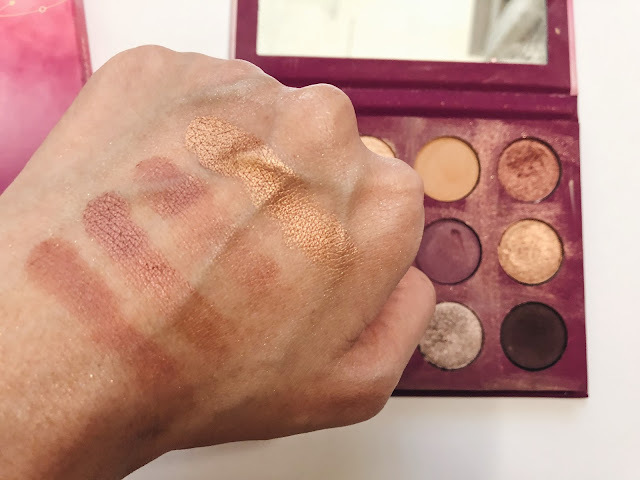 There are 12 shades all together, 6 mattes and 6 shimmering shades. This palette is perfect for a basic eyeshadow palette. Tak perlu guna eyeshadow lain dah, sebab semua perfect. First row. From left, The Knot, Moon Struck, Two Peas, Candygram. The Knot cantik as highlighter, brow bone highlighter, good pigmentation and really smooth. Senang nak apply! Moon Struck a bit gold orange-ish and I suka bila apply kat eyelid, the colour pay off is really good. Candygram banyak fall out. 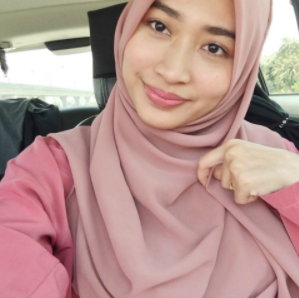 Dia cantik, tapi agak susah nak apply dekat eyelid, unless dah basahkan brush. Middle row. From left, Winning Ticket, FBO, Look-See, Fool's Rush. I suka Winning Ticket sebab dia nampak macam mauve and cantik bila apply as base colour, combine dengan FB sekali, rasa cantik! 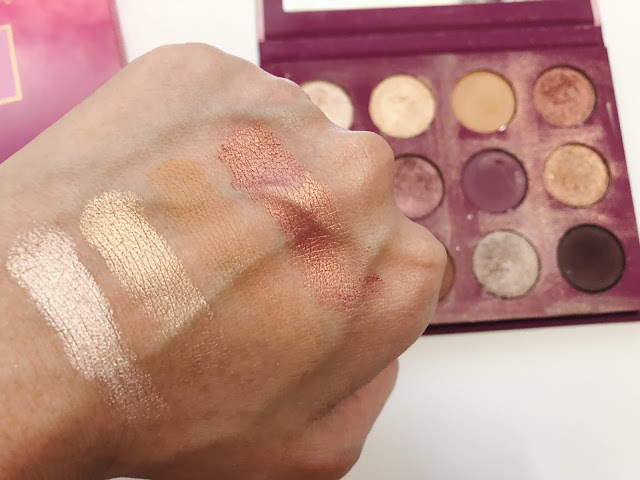 This middle row ni semua shades cantik gila, mauve-berry tone and sesuai even for daily use! The last row. From left, Pulling Strings, Want U Back, DTR, Sparks Fly. This row is perfect for natural brown tone. Again, perfect for daily use! The pig,entation is really good, easy to apply, easy to blend, really smooth, tak bercapuk or patchy. All shades are wearable dalam this palette. Tak ada satu shade pun yang I rasa I tak akan pakai sebab semua berguna. 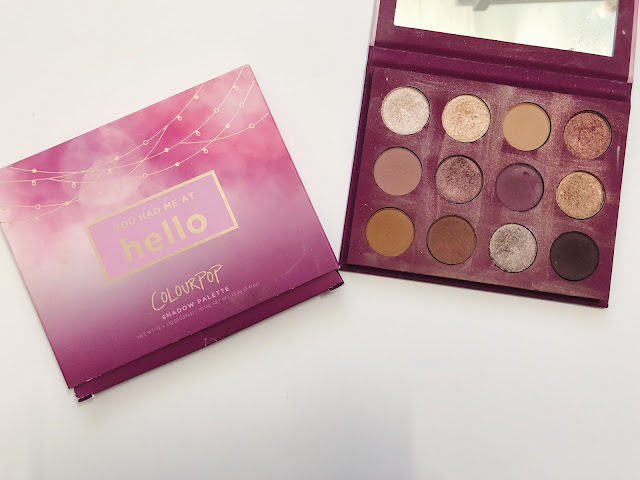 For a makeup noob like me, this eyeshadow is perfect for everyday use. The brown and berry shades are perfect! Of course. Especially if you don't have any eyeshadow palettes yet, this is a good start.